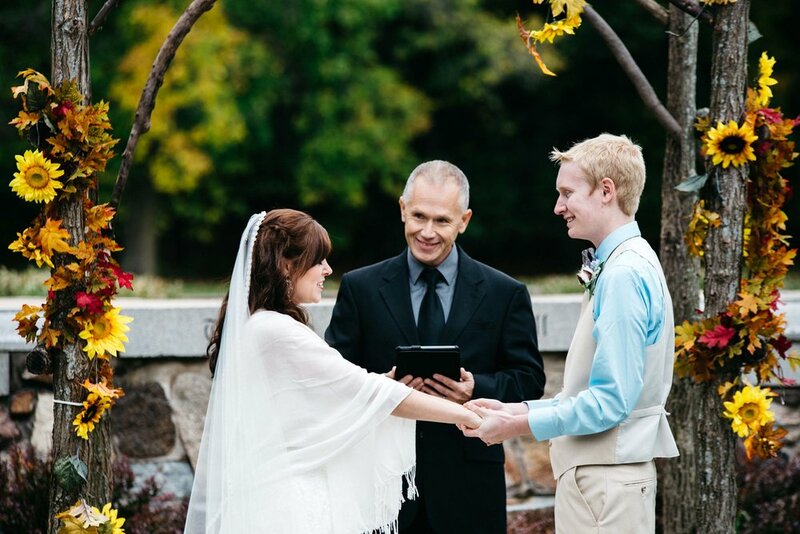 Kevin and Jess were married on a picture perfect autumn day. If you can imagine the most perfect fall colors at one of Green Bay's top wedding venues, you've just imagined their wedding! We also loved shooting the unique flair of having no bridesmaids - you read that correctly, it was guys only supporting the happy couple as they exchanged vows. Ceremony and Reception Venue at Pamperin Park in Green Bay, WI.